Anyone who has a roommate will understand. Late Thursday, the Raiders and Chargers released a joint statement saying they’ve proposed a shared stadium in Carson, California, just outside of Los Angeles. The reason is simple: Money. We are pursuing this stadium option in Carson for one straightforward reason: If we cannot find a permanent solution in our home markets, we have no alternative but to preserve other options to guarantee the future economic viability of our franchises. 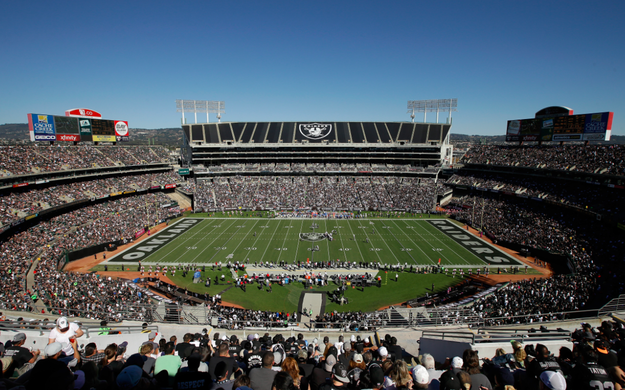 The Raiders have been famously searching to get out of O.co Coliseum in Oakland, which they share with the Oakland A’s. 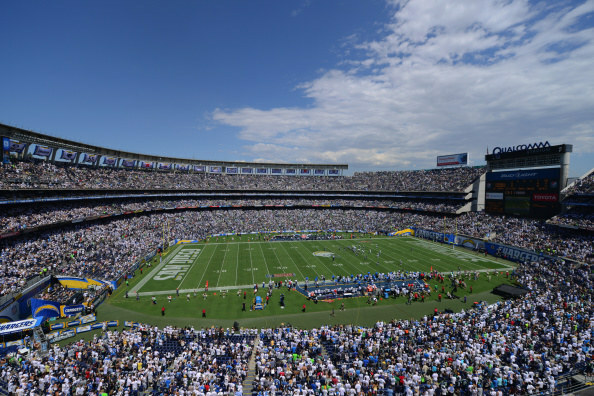 The Chargers have also been seeking a new stadium in San Diego without much luck. The NFL has been looking to re-establish L.A. as a football town, and with this new proposal and the land , the city could be flooded with teams in no time. That is, if all of these deals go through. Teams have long used the prospect of a move to Los Angeles as leverage against their current host cities when seeking a new stadium. We have both been working in our home markets to find a stadium solution for many years, so far unsuccessfully. We remain committed to continuing to work in our home markets throughout 2015 to try to find publicly acceptable solutions to the long-term stadium issue. We also both understand and respect the NFL’s relocation process, and we intend to adhere strictly to the relocation procedures that the League has set forth for Los Angeles. In particular, we respect the right of the NFL’s owners to decide on all Los Angeles-related relocation issues and understand that any relocation application that is filed for Los Angeles must obtain the approval of three-fourths of the NFL’s owners. Both teams have kept the NFL owners’ committee on Los Angeles, and the Commissioner, fully informed about our joint efforts. On track one, we will continue to work in our home markets to find permanent stadium solutions that are publicly acceptable. On track two, we will work in Carson to preserve our options, and the future economic viability of our franchises, in the event that our efforts in our local markets fail. Throughout this process we will respect the rules and procedures set forth by the League and defer completely to the ultimate decision of the NFL’s owners.